One of highest quality build, The Goon V1.5 combines the best aspects of the Goon and the Goon LP. Great vaping production and flavor and very reasonable price. 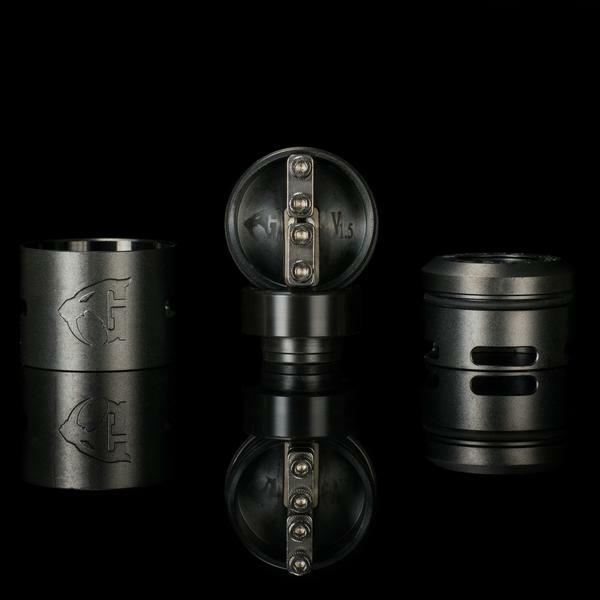 The Goon V1.5 RDA is the latest RDA from the minds of 528 Customs. The Goon V1.5 combines the best aspects of the Goon and the Goon LP. This 24mm RDA kept the clamp style build deck of the original Goon and adds the improved airflow control found on the Goon LP. The conical shaped cap is sure to bring you maximized flavor potential while providing a huge build space and a easy to build clamp style build deck to accommodate whatever type of build you throw its way. The Goon V1.5 has had its build space increased both vertically and horizontally compared to the Goon V1. 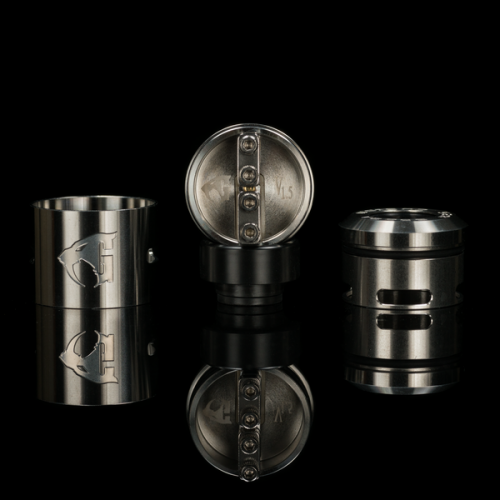 Another notable change is the domed interior top cap which was designed for enhanced flavor and steals the easily adjustable Cyclops style airflow inlets like on the Goon LP RDA. The Goon name brings notable features of quality such as a stainless steel bridge, stainless steel clamps, stainless steel clamp screws, and PEEK insulators.